Registration fee is Php 3,500 for children ages 6-12 and Php 3,500 for parents. Fee is inclusive of transportation from Metro Manila, overnight accommodation, meals, and materials. Parent fee includes program of activities for parents. Limited space available. Register now! For registration and inquiries, contact info@gkenchantedfarm.com or call 0916-225 3363. 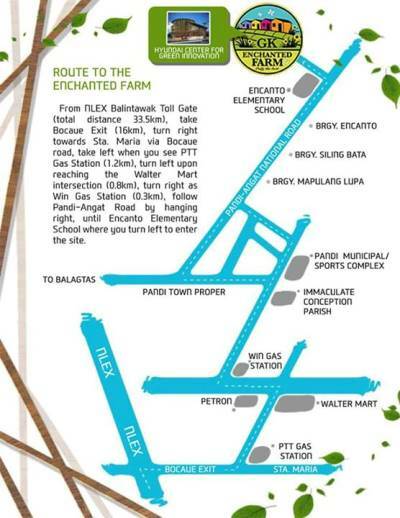 This summer expose your children to a magical experience at the GK Enchanted Farm! Help them to learn love of nature, love for our country, and caring for the Filipino community. We will help develop your children's entrepreneurial spirit during the weekend of fun-filled exploration led by and international team of French, American, and Filipino social entrepreneurs.